A most daring flight of all times: Around the world in a solar-powered plane has begun with a take off of the Solar Impulse-2 from Abu Dhabi, United Arab Emirates. It is expected that the flight would take five months covering 35,000 kilometres with Andre Borschberg at the controls of the single-seater vehicle. 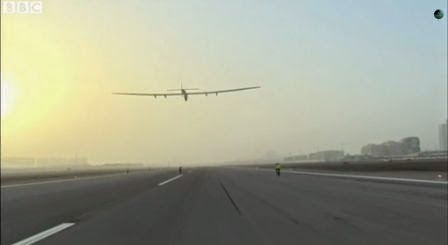 The solar-powered plane took off at 07:12 local time (03:12 GMT). 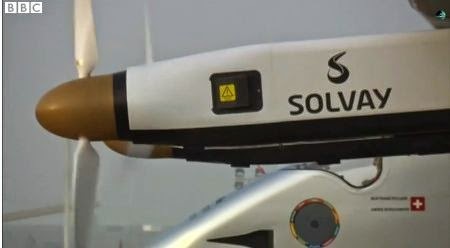 ndre Borschberg will share the pilot duties in due course with fellow Swiss, Bertrand Piccard.